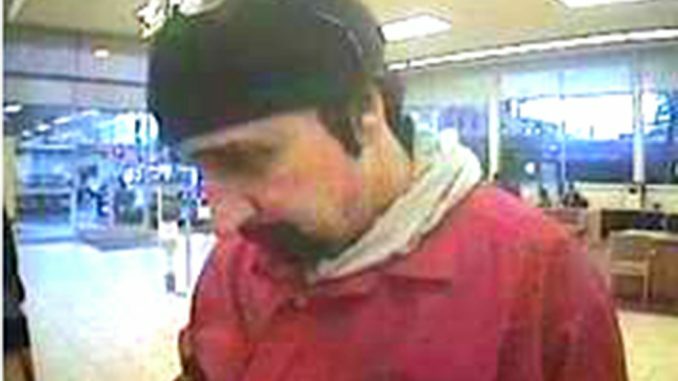 Police are looking for a bank robber who used a note to hold up the Wells Fargo at 505 California Avenue this evening. The man entered the bank at 5:28 p.m. and handed the teller a note demanding money. The teller gave him an undisclosed amount of cash. He left the bank and walked northwest through the parking lot. The suspect is a white man, about 5 feet 10, with a medium build. 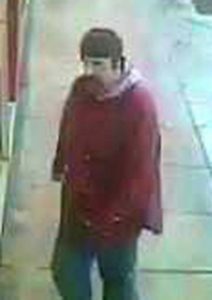 He was wearing a red rain jacket with a light grey hooded sweatshirt underneath, and dark pants. He wore a black beanie with sunglasses resting on his head. He has brown hair and a goatee. Anyone with information is asked to call police at (650) 329-2413. Anonymous tips can be e-mailed to paloalto@tipnow.org or sent via text message or voice mail to 650-383-8984. This was Palo Alto’s first bank robbery since 2017.